It is always important to me, and I always look forward to the opportunity to address the National HBCU Conference. This year in particular we are at a challenging, pivotal moment in supporting both the enduring and the evolving role of HBCUs. Just four days from now, Republicans on Capitol Hill are threatening to shut down the government. That is no way to win the race for the future. In a knowledge-based, globally-competitive economy, you won’t see nations that are out-educating us cutting funding for preschool, for hiring teachers, and for expanding college access. They are not managing their educational strategy via sequester—and I wonder why in America we continue to cut off our nose to spite our face. On top of that grave threat to additional investment in preschool, K-12, and HBCUs, this has been a difficult year for HBCUs with PLUS loans. I have talked with many of the people here in this room about the PLUS loan challenge. It has been hard, it has been frustrating, and I know some of you are angry. I am not satisfied with the way we handled the updating and changes to the PLUS loans program. However, some have said we are choosing not to reverse the policy because we don’t care, and nothing—nothing—could be further from the truth. Our department is required to carry out the law as it was designed to protect parents and taxpayers against unaffordable loans. But we could have and should have handled the process better. Communications internally and externally was poor, and I apologize for that, and for the real impact it has had. That’s why we’ve announced that we will initiate a new rule-making process on this issue early next year. Jim Shelton, our deputy secretary—and by the way, a proud Morehouse Man—will provide a more detailed update on the PLUS loans situation later this morning. This is personal for him—as it is for so many of our team and for me. The good news is that we are making progress. But I continue to remain concerned about students and families who were denied loans and may still qualify for reconsideration, but have not yet applied. We are committed to doing everything we can to make sure students get all of the financial aid they are eligible to receive. And we have communicated directly with applicants that we believe would benefit from having their application reconsidered. Now, I am hoping that the very serious challenges of the moment will also provide the opportunity to reset the public dialogue on HBCUs. I believe strongly that HBCUs must not just survive but thrive as we move ahead. I believe strongly that HBCUs will continue to make enduring contributions to America—and that HBCUs must also evolve. And I believe strongly that we must shift the narrative around HBCUs from one centered on management and operational challenges to a narrative centered on the collective commitment to creative investment and innovation. Too many Americans are unfamiliar with the staggering accomplishments of HBCUs. Most of America’s civil rights giants were educated at HBCUs—Dr. King, W.E.B. DuBois, Rosa Parks, Booker T. Washington, and Thurgood Marshall. In our time, Jesse Jackson, Andy Young, Barbara Jordan, Congressman John Lewis, Marian Wright Edelman, and Doug Wilder all earned their degrees at HBCUs. Legendary artists and authors came out of HBCUs—Ralph Ellison, Alice Walker, Zora Neale Hurston, Langston Hughes, and Toni Morrison. Yet what is most impressive about the HBCU record is not just your famous alumni. It is that HBCUs, working with meager resources, almost single-handedly created an African-American professional class in the face of decades of Jim Crow discrimination. Even today, more than a half-century after the demise of Jim Crow laws, HBCUs continue to have an outsized impact in educating black professionals. We have over 7,000 institutions of higher education across the country, 106 of which are HBCUs. But in 2010, HBCUs still awarded a sixth of all bachelor degrees and professional degrees earned by African Americans in the U.S. So, the tremendous historic role of HBCUs must endure—but it must evolve as well. To cite just one example, HBCUs must play a leading role in ensuring that America reaches President Obama’s goal of having the highest college attainment rate in the world by 2020. The U.S. can only lead the world again in college attainment if an unprecedented number of Americans enroll in and complete college. If we want to strengthen families, if we want to strengthen communities, if we want to increase social mobility, the best way to do that is through educational opportunity. The math here is pretty simple. To reach the President’s 2020 goal, student populations with high dropout rates—especially minority students—will have to exponentially increase their college graduation rates. This is not just about access—this is about attainment. Nationwide, only about one in four—28 percent—of young black adults have received a college degree. But we know that African Americans have the highest proportion of adults who have some college but not a degree of any major racial group. Almost 18 percent of African Americans aged 25 years and older—nearly one in five adults—went to college but left without their degree. That college completion shortfall is both a tragic squandering of talent and an unprecedented opportunity to do better. So, in the years ahead, we want HBCUs to continue to be known not just for their storied alumni but for leading the way for all institutions in educating and graduating African American college students. We want HBCUs to be known not just for their illustrious legacy of inventors like George Washington Carver but for their ongoing contributions in the world of science, technology, engineering, and math. We want HBCUs to be known not just for tailoring personal support for incoming minority students but to set the standard for other institutions in how to create a culture of completion for all students. We want HBCUs to be known not only for their rich historical roots in teacher preparation but to show other institutions how to recruit and prepare a more diverse teaching workforce for the 21st century. All of our children benefit when they see more teachers of color and minority men in front of them in their classrooms. 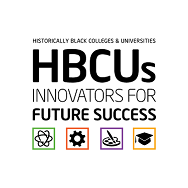 And we want HBCUs to be known not just for their close ties to the community, but for innovatively adapting the lessons of meaningful collaboration and partnerships with K-12, community colleges, business, philanthropy, and international exchange programs. Despite the very real challenges we all face, I have absolute confidence that this entrepreneurial evolution can happen—because I see it happening. I’ve been to Hampton University and seen its cutting-edge Proton Therapy Institute for treating cancer. President Harvey’s vision there is extraordinary. I’ve been to Morgan State, which, under President Wilson’s remarkable leadership, formed a groundbreaking partnership with the Universities Space and Research Alliance. Morgan State landed a $28 million contract—its biggest federal contract in history—to develop critical, cutting-edge expertise on climate issues and atmospheric science. I’ve been to Xavier University, led by an icon, President Francis. Xavier awards more undergraduate degrees in the biological and physical sciences to African Americans than any university anywhere in the nation. It sends more African-American students to medical school than Harvard. I’ve been to Fayetteville State, where Chancellor Anderson’s commitment to international education has led to the creation of dual-degree exchange agreements with five universities in China. Last year, Fayetteville students could take a course in educational psychology and measurement taught concurrently by video to students at Baotow Teachers College in Inner Mongolia, China. And students from around the world come to see FSU’s Electron Microprobe—a rare, state of the art microscope. I couldn’t agree more. We don’t live in silos anymore. And that’s one reason that innovations at HBCUs that reduce college costs and accelerate the path to a degree are so promising for all institutions of higher education. Fayetteville State, for example, offers the only accelerated Masters of Social Work program in the country. The students in that program are full-time active duty members at Fort Sam Houston. They are paid by the Army to pursue their MSW degree six hours a day, five days a week. And through distance learning, those off-site students are completing their requirements for a master’s degree in just one year instead of two. It’s a less expensive path to a degree—and it gives the Army more of the social workers it needs, faster. When I spoke at the Fayetteville State commencement, two of the graduates had been the valedictorian and salutatorian at FSU’s on-campus Early College High School. Those students graduated from Fayetteville with degrees in criminal justice and mathematics barely two years after enrolling in college. I’ve visited Howard University’s Middle School of Mathematics and Science—the dynamic, groundbreaking charter school that Howard established on its campus. And Howard’s leaders didn’t stop there—they created the Ready to Teach program as well, which prepares African-American men to become teachers in five urban school districts. When I was CEO of the Chicago Public Schools, I visited too many of our 500 elementary schools that did not have a single black male teacher. How can that be a good thing for young children, especially our boys? With less than two percent—less than 1 in 50—of our nation’s teachers being black males, we need to support and expand programs like Ready to Teach. Since 2007, Howard’s Ready to Teach program has received 780 applicants for 80 slots. Already, it has produced four teachers-of-the-year—and in the process helped dispel the destructive misconception that teaching schoolchildren is a profession somehow reserved for women. The truth is that, from Philander Smith College in Arkansas to Elizabeth State University in North Carolina, HBCUs have shown how to teach first-generation college students the habits of success. You have been pioneers of smart retention strategies and accelerated developmental instruction. Only at HBCUs are the president, the faculty, and the support staff most often like a second family to students. The story at Morgan State is typical of that personalized, strategic approach to student support. Morgan State tracks students’ progress from the moment they set foot on campus. If a student doesn’t do well on a quiz or test, a counselor calls to make sure he or she is taking advantages of all the support services that MSU provides. President Wilson unapologetically calls it “intrusive intervention”—and coupled with care and support, it works. In 2010, the one-year retention rate of MSU freshmen2010 increased five percentage points. This is a key strategy that other institutions of higher education can learn from to boost graduation and retention rates. Jim Shelton is thrilled to be attending the HBCU Innovation Summit at the end of October. Michael Lomax and UNCF will host this inaugural national summit at Stanford University in Silicon Valley to help launch the HBCU Center for Innovation, Commercialization and Entrepreneurship. 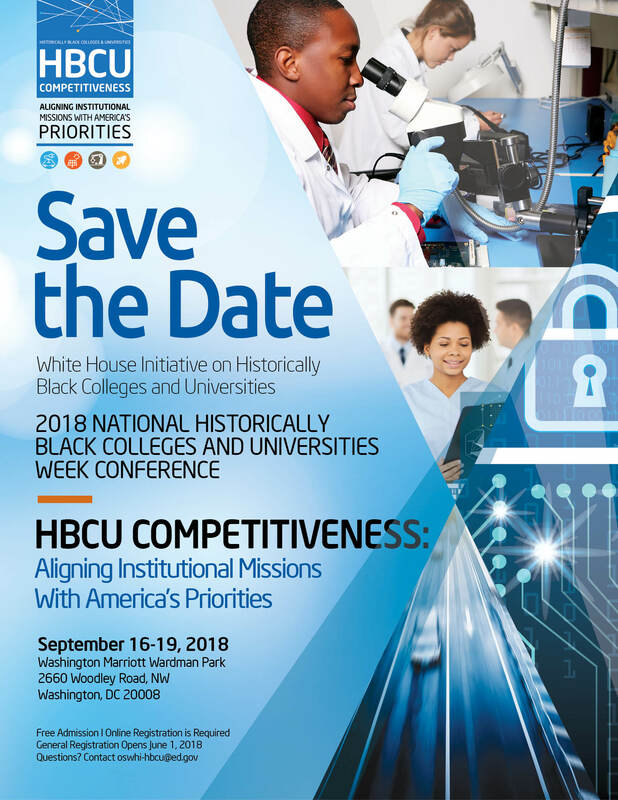 HBCU presidents will attend—and 10 HBCUs are sending teams comprised of Deans, faculty, and students to share national best practices for enhancing the entrepreneurial capacity of HBCUs. At the federal level, we are targeting additional funding to HBCUs to promote and support innovation. Last week, our Department awarded three-year Minority Science and Engineering Improvement Program grants totaling almost $1.5 million to Florida A&M University and Texas College to increase the number of STEM students who enroll in and graduate in the STEM disciplines. Texas College plans to use the federal dollars to revise their first-year and second-year STEM curriculum and to physically renovate classroom labs in Biology, Chemistry, Physics, Mathematics, and Computer Science. Last week, we also awarded a $200,000 grant to Southern University in Baton Rouge to develop and validate a service model for increasing employment and integration into the community of African-Americans with disabilities. I want to be absolutely clear: Support for innovation at HBCUs should be government-wide, and not just from the Department of Education. I’m excited that the Department of Energy awarded $9 million to nine HBCUs in South Carolina and Georgia to develop academic programs that promote minority involvement in STEM fields, especially in environmental management. And just yesterday, the National Institutes of Health announced it has awarded planning grants to five HBCUs, totaling almost one million dollars in its new NIH BUILD initiative. The NIH’s BUILD Consortium aims to increase the diversity of the NIH-funded workforce by boosting the enrollment of underrepresented college graduates in biomedical research and graduate training. Fisk University is planning to use its NIH grant to build on its innovative Master’s-to-PhD Bridge program. It is going to launch a computer science Master’s degree program with a bridge to Vanderbilt’s PhD program in biomedical informatics. Now, I am not at all naïve about the very real challenges that many HBCUs face in becoming leading centers of innovation, entrepreneurship, STEM research, and international education. Too often at HBCUs, endowments are undercapitalized. Faculty salaries are low. And facilities are in need of repair. Far too few students arrive on campus truly ready for college-level coursework. The need for remediation and support is huge. And when college presidents have to scramble to pay the utility bills, it is hard to find money for technology innovation and competency-based education. These are daunting challenges. Yet even in a world with limited resources and underprepared students, HBCUs—just like other postsecondary institutions—vary significantly in their performance. Leadership—your individual and collective leadership—matters. Some HBCUs are doing an amazing job of getting students in a cap-and-gown on graduation day, while others have work to do. Some HBCUs are doing a good job of managing student debt and default—while other institutions have significant room for improvement. I know that some of you are concerned that the college ratings system President Obama has asked our Department to develop will fail to take account of the special challenges facing HBCUs. I can assure you that will not be the case—and let me tell you why. As you know, President Obama assigned our Department to develop a college ratings system for the start of the 2015 school year. Under his plan, the college ratings system would be used to transform the way federal student aid is awarded to students, starting in 2018. When President Obama unveiled his plan, he proposed a new idea that marks a major break from the past—and one that, I believe, actually elevates the value of effective and improving HBCUs. We come to this important, complex work with great humility, and we will need your expert advice and best thinking. Over the course of the next year, we are going to solicit input on the ratings systems from literally hundreds and hundreds of stakeholders, including HBCU leaders, students, and parents. We don’t begin to know yet all the metrics that will form the ratings system. But we do know that it will rely on multiple measures—not one or two crude measures of college value. And we know that we’ll be seeking to make apples-to-apples comparisons of institutions, not apples-to-oranges comparisons. That is hugely important. The ratings, in other words, will compare colleges with similar missions—and identify colleges that do the most to help students from disadvantaged backgrounds and colleges that are improving their performance. We are interested in the progress schools are making. We want to reward institutions that are performing well—and demonstrating their commitment to improvement. Frankly, we are much more interested in where you are going than in where you have been. We’ll be looking, for example, at how successful colleges are at enrolling and graduating students who benefit from the Pell Grant program. I don’t think any American president has articulated that standard for assessing college performance and value—and it is a standard that I think HBCUs should welcome. I want to conclude by talking briefly about the future of HBCU funding—and the fierce budget battle now underway in Congress, even as we speak. I very much share your frustration and concern about what the future holds for education funding, for minority students, and for all our nation’s students’ ability to go receive the education they need and deserve. During the Administration’s first term, President Obama succeeded in securing large increases in higher education funding. Including Federal Student Aid, the Department’s overall support for HBCUs increased more than 40 percent from 2007 to 2012, from $3 billion to over $4 billion. 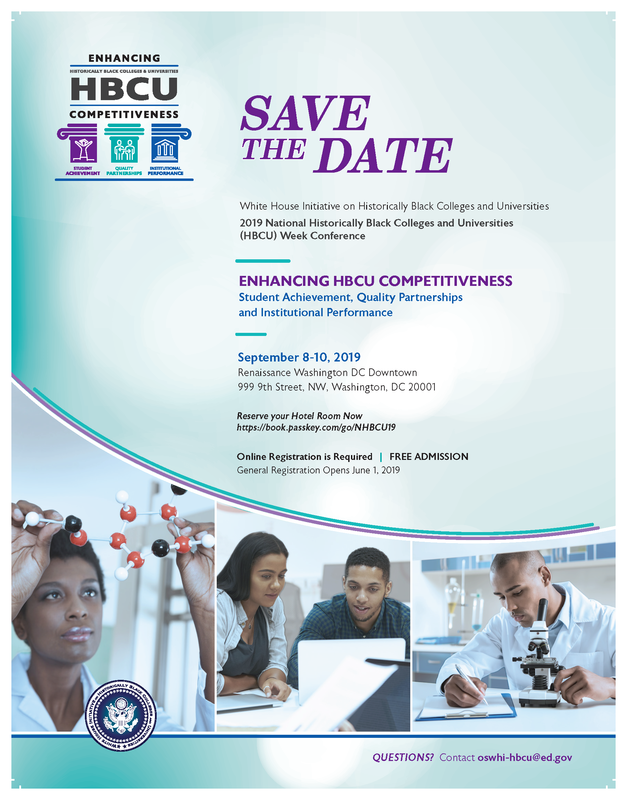 Since 2007, the Department has invested over $600 million in institutional loans for capital projects at HBCUs under the HBCU Capital Finance Program. As you know, President Obama fought for and won a historic commitment to fully fund Pell Grants. Thanks to that victory, over the next decade, nearly 200,000 additional Pell Grant awards will go to African American students, and 20,000 of those will go to students at HBCUs. Since the beginning of the Administration, Pell revenue to HBCUs is up almost 40 percent, from $608 million in 2008 to $835 million today. Yet as important as this infusion of support was in the midst of the Great Recession, it wasn’t enough. In a perfect storm of budget cuts, states slashed their support for higher education even more. Congress, in the ultimate act of dysfunction, followed by imposing the sequester. And now Congress is threatening to continue squeezing funding for higher education. In his 2014 budget, President Obama requested over $228 million in funding for HBCUs. But the Republican-controlled House of Representatives has refused to take up the President’s budget. The fact is that Washington is currently engaged in a bitter battle over two competing theories of education and its relationship to economic growth. And the outcome of this debate has enormous consequences for our children, our economic competitiveness, and for HBCUs. President Obama and I firmly believe that the path to prosperity lies in smart investments in education and infrastructure. We believe that education is not just an expense but is the nation’s main engine for long-term economic growth. We believe it is the best investment we can make—in our young people, in our communities, in our nation. The competing theory, of House Republicans and Tea Party leaders, is that the path to job creation and economic growth is simple—it is the advocates’ self-described, three-word plan: Cut, cut, cut. They contend that economic growth will actually come from cutting government spending, cutting regulation, and cutting taxes. For them, education is just one more line on the government ledger that can be indiscriminately cut. Unlike GOP governors outside of Washington, the cut-cut-cut legislators do not believe education is a necessary investment both to sustain economic growth and to create a path into the middle class. When I started this job, almost five years ago, I never imagined that one day I would have to fight to try to dissuade members from Congress from cutting Head Start for three-year olds and four-year olds—even as they insist on the economic need to maintain tax breaks for the rich. So, we are at the proverbial fork in the road: We will either support early childhood education, K-12 reform, and greater access to higher education, or we will allow other countries to out-educate and out-compete us. The stakes here are high. Please let Congress know what you believe—is education an expense or an investment? As we head into this important debate, I am so fortunate to have a great team working with me on behalf of HBCUs. Dr. Ivory Toldson, our new Deputy Director of the White House Initiative on HBCUs, is a prolific young scholar and myth buster. He has courageously debunked research and media coverage that perpetuates misleading stereotypes about African Americans. And he is a champion of increasing opportunities for black men, including teaching opportunities. And I couldn’t be happier that our new Executive Director of the White House Initiative, Dr. George Cooper, has agreed to lead our team. Like Dr. Toldson, Dr. Cooper’s reputation precedes him. As the former president of South Carolina State University—and throughout his long, distinguished career in academia—Dr. Cooper has been a staunch and thoughtful advocate for HBCUs for over three decades. Over the next three months, Dr. Cooper and Dr. Toldson will be reaching out to you, making visits, and hosting important conversations to make sure we are hearing your ideas, your concerns, and getting your input and guidance. Don’t be shy—I know you won’t. I’m going to turn this over to Dr. Cooper now. Please give him and Dr. Toldson a warm welcome—and thank you once again for the opportunity to speak with you today.